Sure, moms always appreciate flowers and kid-made cards as sweet Mother’s Day gifts. But this year, go the extra mile and get mom a special gift to help her get ready for her next trip or remember a special vacation. We’ve rounded up picks that will help mom travel with ease—and look good doing it. Other ideas will help her keep the vacation vibe going long after returning to the reality of laundry and grocery shopping. 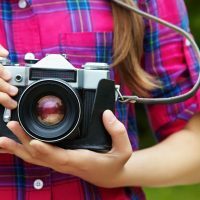 During family vacations, most moms end up behind the camera instead of in all those photos taken at the beach or in front of major landmarks. 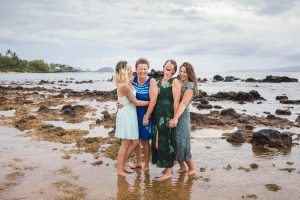 Help mom get back in the picture with a gift card from Flytographer. The service connects travelers with photographers at destinations around the world, who’ll capture anything-but-ordinary images of the whole family enjoying their vacation locale. It’s a great way to preserve memories from a once-in-a-lifetime trip or multigenerational getaway. For an exclusive Flytographer discount, use code FAMILYVACAY25 for $25 off a shoot. This code is valid until Dec. 31, 2019. A glass of wine is often a nice way to end a long day of momming. Host’s Wine Freeze Cooling Cups help keep mom’s vino of choice at the right temperature. Stash them in the fridge for a few hours before pouring a glass of red wine; freeze them for at least two hours to keep whites crisp and cool. They’re made of BPA-free plastic, so they can be easily taken by the pool or to the beach. An insulated silicone band makes the cups easy to hold and they come in several different color options. For busy moms, self-care often falls by the wayside. But you can help mom find or update her signature scent with the Nest Discovery Set. Eight easy-to-use rollerballs offer samples of bestselling eau de parfum fragrances from the Nest collection, like exotic Midnight Fleur, floral Dahlia & Vines and fresh Wisteria Blue. Mom can try each one (or even blend them together) to find the scent she likes best. And the small travel size bottles makes them easy to take on the go. What mom wouldn’t love a little jewelry on her big day? Incorporate the kids’ birthstones and initials into a delicate Personalized Birthstone Necklace from Mignon and Mignon. The go-with-everything, made-to-order jewelry can be created in a gold, silver, or rose gold finish with your chosen birthstones and stamped initial leaf charms. It’s a great gift idea for grandma, too. Help protect mom from the sun’s rays during her next beach vacation or while watching the kids’ weekend soccer games with the Mesa Packable Straw Hat. The carefree, crushable topper can be thrown in a suitcase or weekend bag and features a decorative center trim. It would look great with a swimsuit or sundress on any kind of warm-weather getaway or while simply running errands on a sunny day. We all know mom is the one who keeps the whole family organized during a trip. So give her the Defway Travel Wallet, where she can keep everyone’s passports, hotel key cards, cash, and other necessities in a convenient wristlet that comes in a variety of colors. The water-resistant wallet also includes an outside pocket for cell-phone storage and RFID-blocking technology to keep personal information safe. A pretty scarf can be a versatile travel essential for its ability to serve multiple purposes. It can liven up a basic T-shirt or dress, provide a little warmth in chilly restaurants, and even serve as a travel pillow in a pinch. Tommy Bahama’s Fusion Dip-Dye Scarf comes in rose or aqua ombre options that would match easily with a lot of common items found in any woman’s closet. Whether they’re traveling or just navigating everyday life, moms often find themselves with their hands full. That’s why a good crossbody bag can be a lifesaver, since it’s one less thing to have to juggle. Kipling’s Sebastian Crossbody Bag comes in a gazillion color and pattern options and includes a key clasp and lots of zippered pockets to safely corral all those necessary mom supplies. And an adjustable strap means it can also be turned into a shoulder bag if the mood strikes. If mom is dreaming of a trip to the mountains or a desert escape, one of the candle options from Homesick might be the next best thing. The simple in style, but high on nostalgia candles come in scents that evoke mom’s favorite city, state or country, like the citrus top notes in the Florida candle or the touch of maple in the Vermont version. There are also more general options that conjure up memories of summer camp or road trips. Help mom stay organized and on trend with the oh-so-cute Cactus Striped Sunglasses Case from Loft. She’ll always be able to find her shades when she stores them in this striped, zippered pouch adorned with a trio of adorable succulents. And if cacti aren’t her thing, the handy little bag also comes in polka dot, floral and leopard-print patterns. Beth Luberecki is a Florida-based freelance writer who writes about travel, business, and lifestyle topics for a variety of publications and websites. She enjoys exploring destinations close to home and farther afield with her husband and tween-age daughter. Visit her website at bethluberecki.com or find her on Instagram, @bethluberecki and Facebook, @BethLubereckiFreelanceWriter.